Haiti president Jovenel Moise flew to Taiwan Saturday, Saturday, 26 May 2018. The national palace give any details as to why exactly the president went to Taiwan for but. 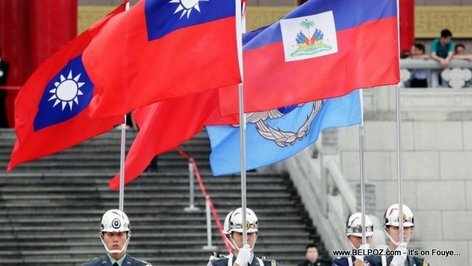 Haitian newspaper Le Nouveliste said a close adviser to president Jovenel Moise told them that the president went ot Taiwan to discuss the key 7 priorities of his government with the Taiwanese authorities. Let us hope the man does not return back home empty handed. Or else, this is definitely bad news for him and his presidency. Haitians can no longer boil promises to put on their plate. du Pres. Estime et du Gen Antoine Simon ).